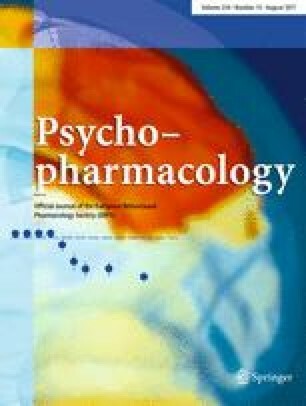 Four experiments examined the effects of excitotoxic, axon-sparing lesions of the medial prefrontal cortex or anterior cingulate cortex in rats on responding under different schedules of intravenous cocaine self-administration and on the locomotor stimulant effects of cocaine. Experiment 1 tested the acquisition and maintenance of cocaine self-administration under a fixed ratio schedule. Rats with medial prefrontal cortex lesions showed facilitated acquisition and enhanced responding for low doses of the drug when lesions were induced before self-administration behaviour was established. Lesions of the anterior cingulate cortex did not affect cocaine self-administration. In experiment 2, rats were trained to respond under a second-order schedule of cocaine reinforcement, where responding during the fixed interval was reinforced by presentation of a cocaine-associated visual stimulus under fixed-ratio contingencies. In control rats, these schedule conditions were found to maintain high rates of responding and a scalloped pattern of responding over time. Omission of conditioned stimulus presentation during the fixed interval significantly disrupted response patterns, confirming that the stimulus served to maintain responding during the fixed interval. By contrast, rats with medial prefrontal cortex lesions showed higher rates and disrupted patterns of responding that were unchanged by stimulus omission. Rats with lesions of the anterior cingulate cortex responded at high rates throughout the fixed interval under all test conditions, indicating that the cocaine-associated stimulus did not serve to maintain temporal patterns of responding in these rats. Experiment 3 demonstrated the lack of effect of either lesion on the acquisition of responding for a non-drug reinforcer, sucrose. In experiment 4, measures of spontaneous and cocaine-induced locomotor activity revealed that rats in both lesion groups were significantly more active than controls regardless of test conditions. These data indicate that facilitated acquisition of cocaine self-administration and disrupted response patterns under second-order schedule contingencies may result from deficits in behavioural inhibition induced by medial prefrontal cortical lesions that contrast with deficits following damage to other limbic cortical regions, such as the basolateral amygdala or anterior cingulate cortex.